I have got more Hexagons done, and have four more laid out to finish. I kind of work on the colour from the Rainbow Scrap Challenge 2013. January was Pink so I am a little bit behind. February is purple, so when these are done I will start the purple ones. I have not made up my mind as to how I will use them. Maybe applique then on to a background or add a neutral layer around and keep hand piecing them together. We will just have to wait and see what I do. My foot stool buddy. He was asking for something not sure what he needs. Maybe a dog cookie. 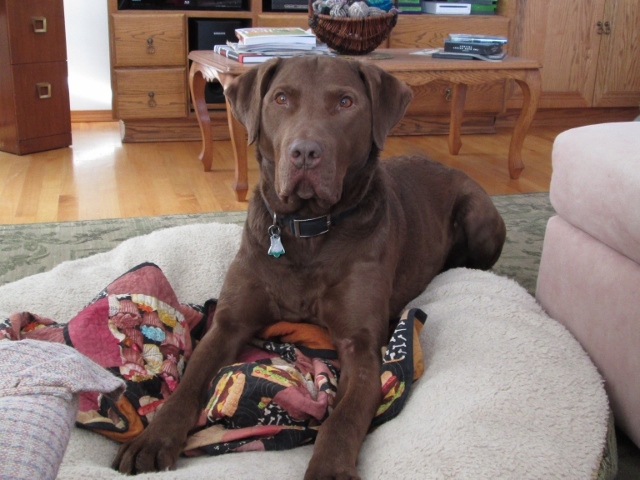 We did not enter the agility trial this weekend. Maybe at the end of the month. 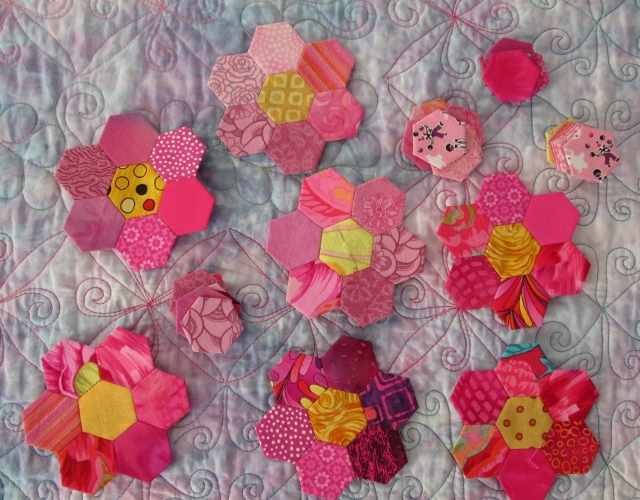 Your hexi flowers are so adorable. I wish I had the umf it takes to sew them together. I really like the basting but hate stitching them together. A little bit of spring in the middle of winter, lovely! 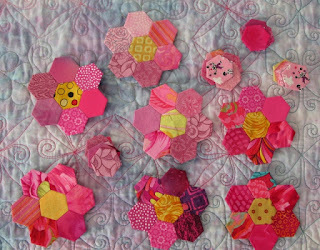 Cute little hexies. Enjoy your weekend off.